Credico South Africa is delighted to learn that Brand South Africa and it’s marketing partner FCB Africa have become finalists in the esteemed City Nation Place Awards, 2017. The firm wishes Brand South Africa and FCB Africa every luck in the innovative competition and hopes this is the beginning of an accurate worldwide perception of the nation as a hub of investment. The companies have reached the finals with their campaign that focuses on South Africa as a nation, exploring how it is a viable and attractive destination over a board of disciplines such as tourism and investment. Credico South Africa have expressed strong support for the campaign internally, and have now thrown support behind it publicly for what the campaign stands for. The key features of the campaign focus on showcasing South Africa as an attractive foreign investment, helping to promote the nation as a key contender in the business sector. The innovative country has been described as a ‘world-class’ investment destination, proving it is attractive to traders, tourists and investors alike. The country has seen massive expansion over previous years, and Brand South Africa and FCB Africa are keen to showcase its full potential. The campaign explores a variety of crucial themes focused on the country's extensive history and bright future. The campaign has already seen a significant perception, proving to be an inspiring and multifaceted advertisement, particularly against the similar competition of other national brands. Despite the ongoing political and socio-economic issues the country faces, both companies understand how crucial it is to ensure that marketing standards within the nation remain of the highest quality. A high standard of marketing campaigns within South Africa is an attractive quality that appeals to investments and consumer spending from all areas of the globe. The competition is set to create a change in the instability of the economy that has been developing over the past decade, giving emerging economies such as South Africa the opportunity to showcase their potential. 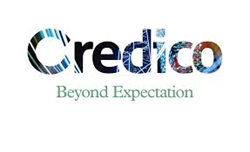 Credico South Africa is hugely supportive of the campaign and the core message of growth and opportunity that it presents. The firm wishes Brand South Africa and FCB Africa every luck in the innovative competition and hopes this is the beginning of an accurate worldwide perception of the nation as a hub of investment. The campaign is competing in the Best Expressions of Place Identity Through Design category against a set of high competition. The City Nation Place Awards will take place in London on November 9th.